A US icebreaker during an Arctic expedition. Such vessels may soon be managed by artificial intelligence. The Arctic has been relatively peaceful so far, thanks largely to its remoteness. But newly opened access may disrupt that peace. The obvious factor is the changing climate: Arctic sea ice is melting, glaciers are retreating, and permafrost is thawing. Much less obvious is the role that emerging technologies can play in economic development and geopolitical conflicts in the far north. Science and technology can be a powerful enabler of – or solution to – many kinds of conflicts. They also raise new challenges to ethics, law and policy, which are best considered in advance, not during a crisis. To anticipate such issues, it’s useful to have some scenarios in mind to draw out questions. First, to understand why the Arctic is becoming a strategic priority, we need to understand its untapped promise. Economic competition in the region is increasing, guided by the potential for major shortcuts for global trade. As new shipping passages reveal themselves in once-frozen seas, they could save about half of the distance and costs between key shipping ports – no longer forcing ships through the Suez and Panama canals. A more hospitable Arctic also means new access to vast energy and mineral reserves; up to 13% of the world’s oil supply and 30% of our natural gas, by some estimates. Natural resources, including territory, have been a historical driver of geopolitical conflicts, and Arctic rivals are now conducting conventional military exercises in the region. But the trend in armed conflict is toward “hybrid warfare” in which irregular forces and tactics, such as cyberattacks and robotics, are part of the playbook. Little attention has been paid to these unconventional, technology-driven aspects in an Arctic war. Beyond wargames, there has also been scant focus on how emerging technologies – such as artificial intelligence (AI), geoengineering and more – might impact economic interests, territorial claims, disaster response, food security, and so on. Because the modern world is ever more ruled by technology, it makes sense to look at technology-driven scenarios. To stay grounded in reality, we can draw lessons from other frontiers with ongoing territorial disputes. For instance, China has created islands and installed bases in the South China Sea, which other alarmed nations still regard as international waters; this is a flashpoint for serious misunderstandings and worse. Thus, one future scenario is the construction of artificial islands to stake a claim in the Arctic. Signed in 1982, the UN Convention on the Law of the Sea (UNCLOS) ties a state’s maritime claim to its underlying continental shelf, but the treaty does not contemplate new technological capabilities to occupy and project power. These capabilities raise hard questions as we update our thinking about territorial claims – which already looks arbitrary to many, whether it’s planting a flag on some undiscovered land in the old world, to pointing to continental shelves now. Should island-building really be enough to stake a new foothold in a territory? And what exactly counts as an island, anyway; for instance, does size matter, and could islands be mobile? The answer may have implications for seasteading: the movement to create autonomous floating structures in open sea, beyond the claim of any terrestrial state. As massive airships become viable and can loiter indefinitely above the ocean, could they prop up a claim to new territory or deny access to competitors? Less provocatively, the same artificial islands could be used as outposts for search-and-rescue operations, or hospitals, or airports, or energy stations, or communication nodes – all of which are desperately needed. Today, emergency-response capabilities are severely limited in the Arctic given a lack of infrastructure/ports, polar darkness, infrequent satellite imaging, and other factors. These future outposts might be staffed (wholly or partially) by AI doctors, telemedicine, and other robotic or virtual technicians. Medical and communications capabilities are crucial, since disasters are more likely to happen, simply because there’s now more activity in the region. As the Arctic sees more cruise ships and more oil-drilling operations, for instance, the odds of another Titanic-style crash or Deepwater Horizon oil spill will increase. The technologies that can help, as mentioned above, are real and exist today. To develop settlements and other economic interests, how might biomedical enhancements be relevant for the harsh environment of the Arctic, for instance, as related to defense projects to create soldiers who don’t need to eat or sleep? What are the ethical and legal issues with geoengineering plans to refreeze the geography – and which state would even be motivated to do so, given the (at least economic) benefits from a warmer Arctic? In the nearer term, synthetic biology could create biomarkers that tag fuel and ballast water that may leak from ships, so that ocean pollution can traced back to its source. As with self-driving cars right now, autonomous icebreaker ships could be trained by artificial neural nets to navigate through ice, a very difficult and nuanced task. These robot ships could help clear a path for a remote rescue – or lead the way for a military attack. More generally, how would all these technologies – from AI to artificial islands – impact Arctic development and cooperation, and how can we ensure they’re used for only peaceful purposes? 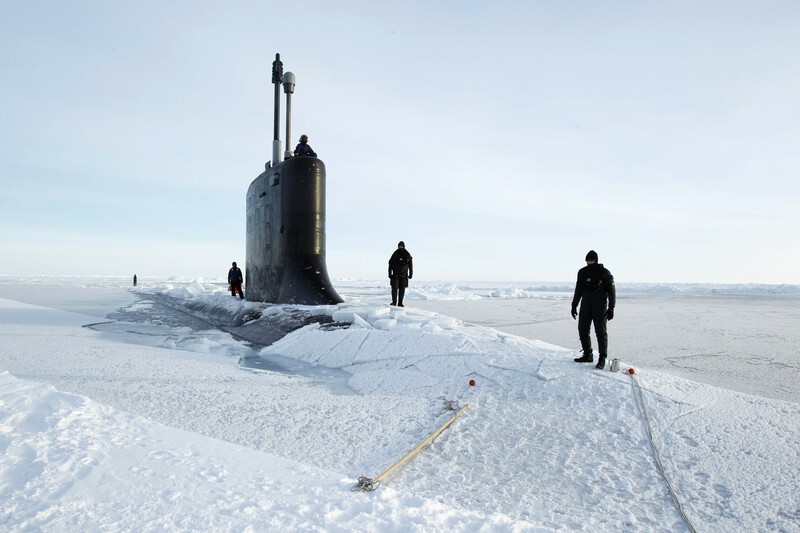 Many other nations, such as Australia and Japan, would benefit from a navigable Arctic, but how should they contribute or compensate for infrastructure and other key costs in developing and safeguarding the region? And what becomes of the future of the Arctic Council, as more states demand membership or status in what’s really a global resource? Like never before, a peaceful Arctic is vital to the well-being of not just regional communities, but also nations worldwide. Crucially, environmental concerns are in tension with economic and political interests, and emerging technologies can be drawn into the volatile mix in surprising ways. It’s important, then, to anticipate and address possible conflicts as early as we can, to build international consensus and cooperation, to better resolve or avoid them. While we have started the first step of scenario-building in a recent workshop in Reykjavik with international experts and sponsors – including the Fulbright Specialist Program and the Fulbright Commission, Iceland – much more work is needed from a broad, interdisciplinary range of experts and stakeholders. So, this is a global call to seriously consider how disruptive technologies may shape the Arctic’s future, which is our collective future.